The Brooklyn Film Festival (BFF) will kick off the 2018 festival with a selection of short documentaries from The New York Times’ Times Documentaries co-presented with a mix of BFF’s animated and experimental films for the opening night program of the festival’s 21st edition: THRESHOLD. The event will take place on Friday, June 1st at Wythe Hotel in Williamsburg. The screening will be followed by a Q&A with the BFF and the Times Documentaries filmmakers, and will be moderated by Brooklyn Film Festival Executive Director Marco Ursino. The opening night film program comes on the heels of BFF announcing its film lineup last week. Like an aircraft entering the threshold on runway “21,” BFF takes off on Friday, June 1st at returning venue: Wythe Hotel in Williamsburg. 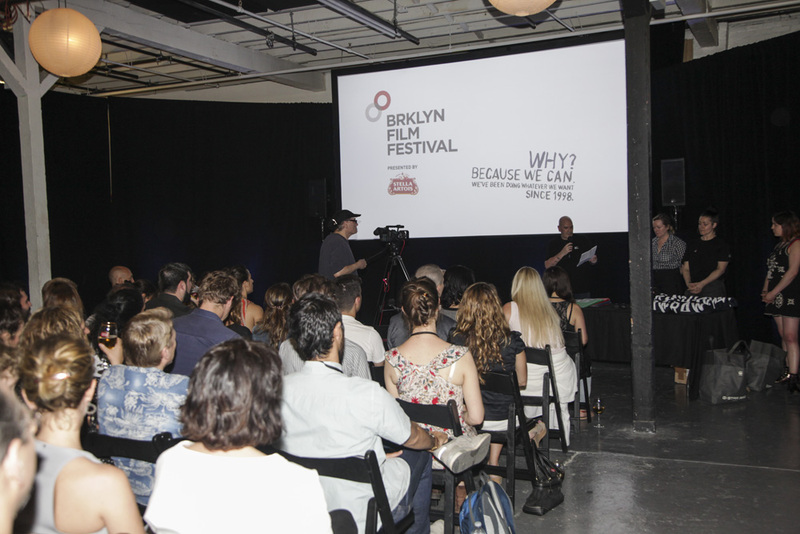 Over the course of the 10-day festival, BFF proudly presents film programs at Wythe Hotel, nearby returning venue Windmill Studios in Greenpoint, and five more screening venues throughout Brooklyn. This year’s festival is comprised of approximately 125 features and shorts from 30 countries spread over all continents, except Antarctica. The lineup includes 19 world premieres, 21 USA bows, 37 east coast debuts and 30 first-time screenings in NYC. The festival will present in total 36 short narrative films, 16 short documentary films, 25 animated films and 20 experimental films. A young fellow finds himself stumbling upon an ordinary flashlight that allows him to explore other places. Elliott Klein, a.k.a. Eli Mosley, is a rising white supremacist leader who depicts himself as an American patriot and Iraq war veteran. But our investigation found that his personal narrative — like much of the alt-right’s messaging — is built on deception. Despite having time to reflect upon his twelve years behind bars, he can’t shake off the ghosts of the past. A short animated film about diversity, “Weird” is a shout out to a girl who is usually judged to be weird and different. Esraa is looking to rent an apartment with her friends. In Egypt, where personal freedom can be routinely compromised in the name of religion, family and country, that makes her a rebel. Like many in her generation, she is gasping for change. Can she win? Between reality and fantasy, a woman’s inner journey awakens her consciousness. A young woman misses her grandfather’s last phone call. After his death, she remembers a promise not kept. In 2016, diplomats at the U.S. embassy in Havana were mysteriously stricken. Was it an attack? There is no official explanation for it, yet it has played a big role in America’s current political disengagement with Cuba.